Reliable HVAC Service You Can All-Ways Trust! Wouldn’t it be fantastic if you could relax, assured that your furnace would work as it should, 100% of the time? Anybody that has ever owned any type of type of heating equipment, knows all too well that this is just not possible. You will ultimately have to call a professional experienced in repairing home heating systems. When you do, make certain you schedule service with a heating repair expert at All-Ways Heating & A/C. Do not allow minor issues with your heating system lead to major issues in the future. Get in touch with a specialist in heating system repair work when you think that there is anything going on with your system. Doing so could help keep your repair work to a minimum. Getting home heating repairs when required is All Ways your best option. House owners throughout Everett & the surrounding areas love the even, effective heating that a gas heater gives. It is not a surprise that gas heating systems in Everett, WA are such a prominent house heating option. With a cost effective fuel resource as well as top quality performance, gas furnaces are amongst the most dependable residential heating solutions in our area. Electric furnaces are a great option to consider as well. While it is true that electric heating services generally costs more to purchase than natural gas does, today’s electric furnaces are engineered to be more and more efficient, helping to bridge that gap. If your electric furnace needs serviced or repaired, give Ken at All-Ways Heating & AC a call. 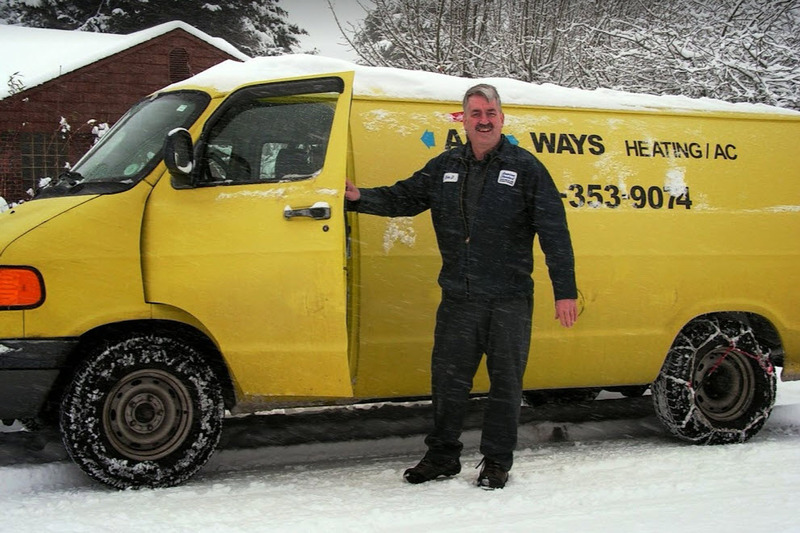 As a trustworthy heating & cooling firm in the Snohomish area, Ken, proprietor of All-Ways Heating & A/C is an NATE certified service technician with the experience to do the job right. He services all major brands including Bryant, Provider, York, Coleman, Trane, Rheem as well as Lennox, plus numerous others. The All-Ways Heating & A/C van lugs a large supply of components to ensure your repairs are done immediately. On the occasion that a component has to be purchased, your component will be ordered and you’ll get rescheduled right away. If your part is under warranty, Ken will certainly care for the service warranty processing for you to guarantee your repair work is completely problem complimentary.